Or do you dislike that strong ‘bite’ that radishes have? What if I told you radishes get spicier the hotter the weather is? Grown in cooler weather they taste quite different. 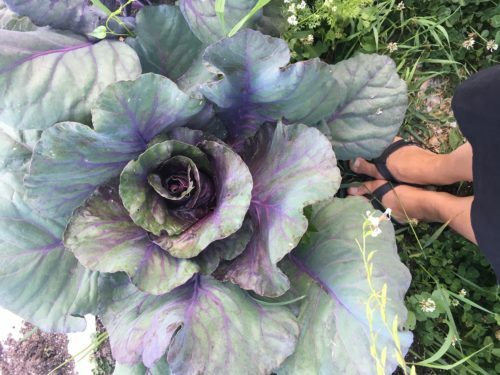 Did you know that they’re one of the fastest growing veggies you can grow in your garden, ready in less than 30 days? Radishes taste amazing sautéed if you don’t like them raw? 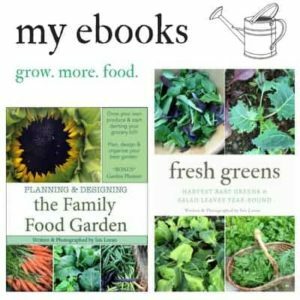 They are super-duper easy to grow & great for beginner gardeners. Radishes have a wide array of colors making your food pretty (Purple! Maroon! Pink! White! Red! Black! Some are white inside, some are pink like watermelon radishes). You can even eat the seed pods and leaves! 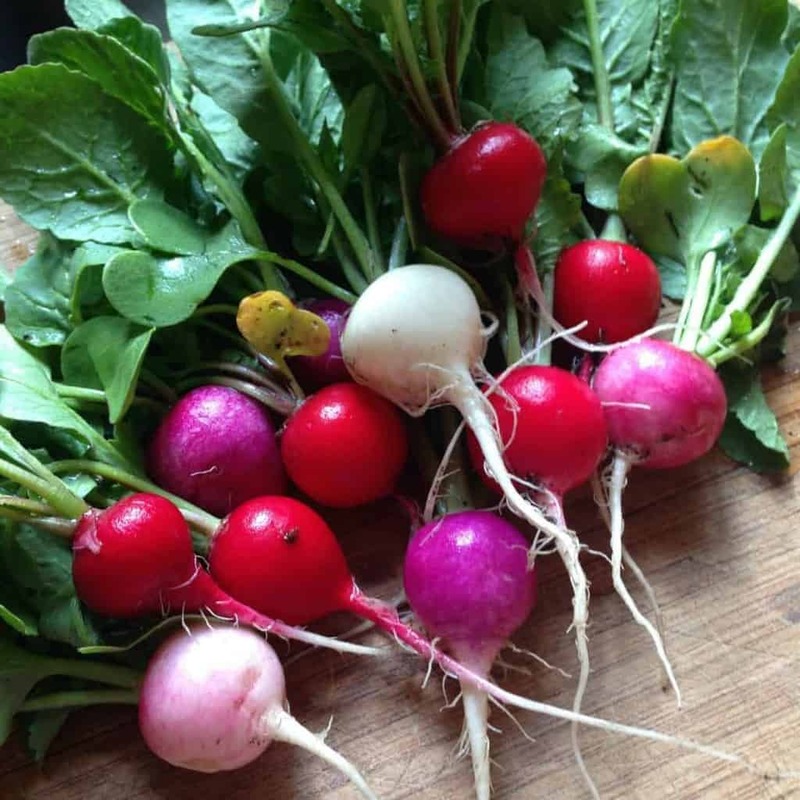 Radishes are super healthy for you, read the health benefits here. Have I won you over yet? Truth is, I didn’t like radishes until I grew them myself. 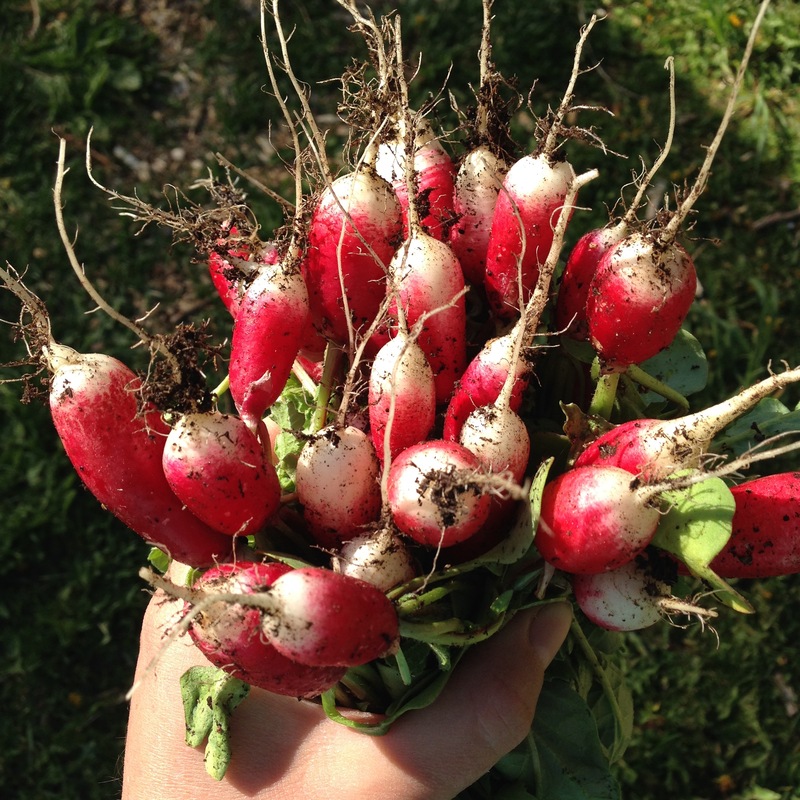 Grown at the right time of the year, and even cooked instead of eating them raw, radishes are now a staple crop in my garden. 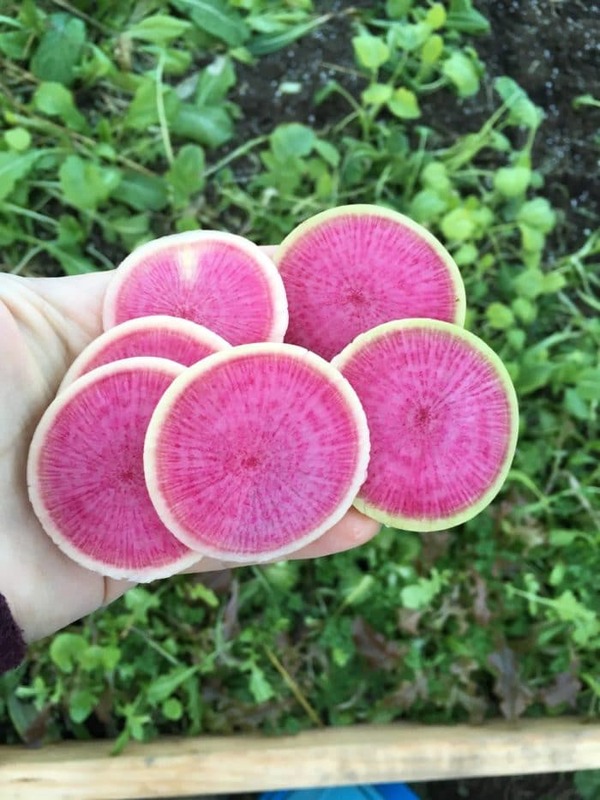 The colors that radishes can be are stunning! 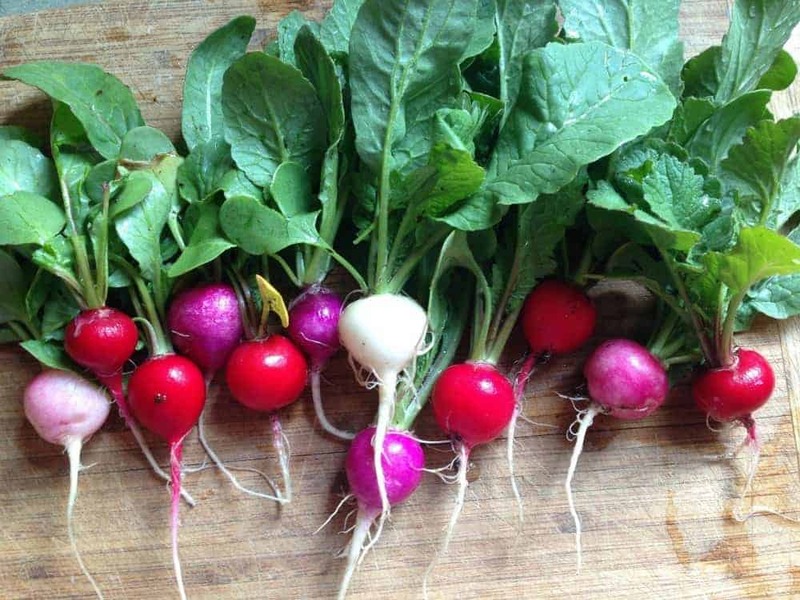 White radishes, purple, colorful blends and watermelon radishes! 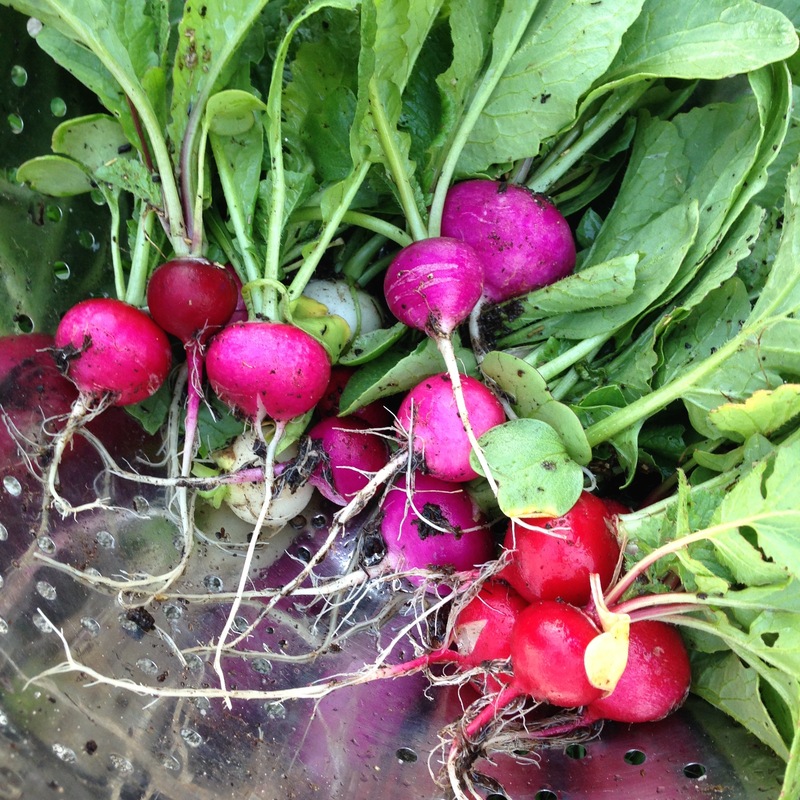 Radishes can be grown all season but are best grown in cooler weather. The heat and sun will make them bolt/go to seed and the root will get woody and spicier. Succession sow in the spring and fall in areas of hot summers or year-round in cooler climates. Excellent for inter-planting around other crops as you can harvest them promptly in 30 days before the other plant needs the space. Direct seed. Sow seeds 5mm (¼”) deep, 25 seeds per 30cm (12″) in rows spaced 30-45cm (12-18″) apart, and thin to 6-12 plants per 30cm (12″). Ideal pH: 6.0-6.8. Radishes are moderate to heavy feeders. Best in rich, loamy soil amended with composted manure. Add 1 cup of complete organic fertilizer for every 3m (10′) of row for background fertility. Make sure you thin them so they have room to grow. The best way to grow radishes is to sow them often. Succession sow every week in the spring and fall. If you’re looking for color go with ‘Easter Egg’ radishes or buy individual colors based on preference. Longer thinner varieties like ‘French Breakfast’ or ‘D’avignon’. Larger cold hardy varieties like the ‘Black Spanish’ or ‘Noir Long Maraicher’ are great for fall/winter gardening. You can also get the long daikon varieties which are often eaten in stir frys or Asian cuisine ‘Sweet Meat’ is even pink inside and there are also ones that are green inside! Harvest promptly when radishes are the size of large marbles. Leaves can also be eaten, although they’re a little prickly (better cooked down). The seed pods can also be eaten! I hope that if you’ve tried radishes before and didn’t like them you give them a second chance! 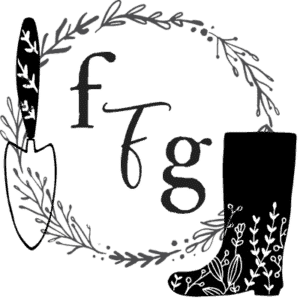 They’re a fantastic pre or post bumper crop for you garden! What a great idea!! Just table salt? Epson salts?